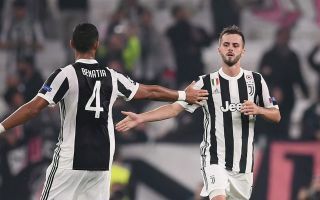 Manchester United have reportedly shown their interest in sealing the transfer of Juventus defender Medhi Benatia in what could be an ideal move to strengthen their defence this January. The Morocco international has previously hinted he is in need of more regular playing time after falling down the pecking order in Turin, and United could be the club to pounce for him. It is suggested the Red Devils have made their interest in Benatia known ahead of January, according to Tuttosport, with translation from Calciomercato. A solid and experienced centre-back, Benatia could be an ideal short-term fix for MUFC at the back after their tough start to the season. Despite some recent improvement, United look in dire need of upgrades on players like Eric Bailly and Victor Lindelof in their back four. Jose Mourinho has rotated a great deal at the back this season to find the right combination, with even midfielders like Nemanja Matic, Ander Herrera and Scott McTominay being given run-outs in that area. Would Medhi Benatia be a good signing for Manchester United? Benatia would be a major upgrade and seems an ideal fit for Premier League football after a career of shining in Serie A and the Bundesliga. ‘I struggle to play with no consistency,’ he told La Stampa as translated by Calciomercato earlier this season.